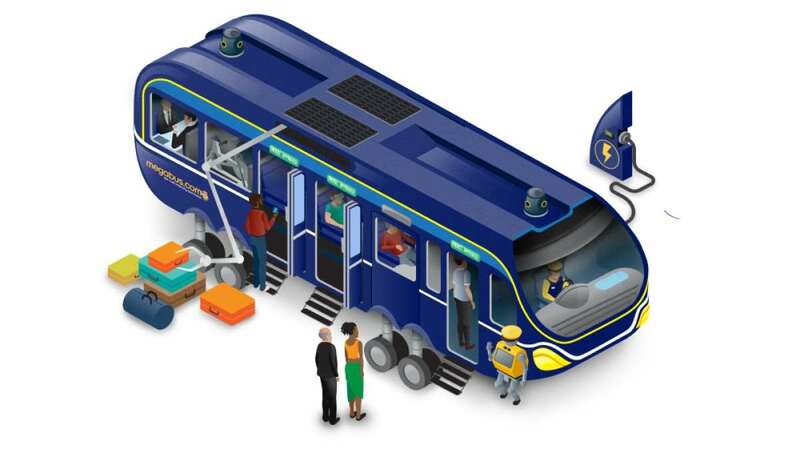 Robot staff, virtual reality, and autonomous technology – here’s what megabus.com thinks your ‘coach of the future’ will look like. Customer health monitors, robot waiters, and AI-powered tour guides are just three features we’re likely to see in coach travel in 2040, experts have revealed in a research project for megabus.com. The inter-city coach provider sourced the opinions of leading futurists and automotive experts to predict how coach travel will develop over the next two decades. 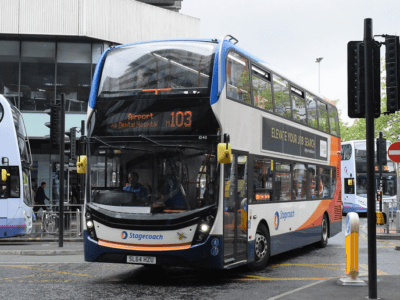 Smart, connected journeys are expected to be a big part of coach travel in the future, as predicted by the crack team of Megabus experts. 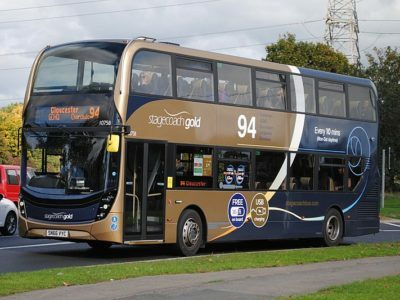 Using connected devices that bridge the home, smartphone and the coach you board, smart journeys will learn your preferences and select everything from your meal to your onboard entertainment. 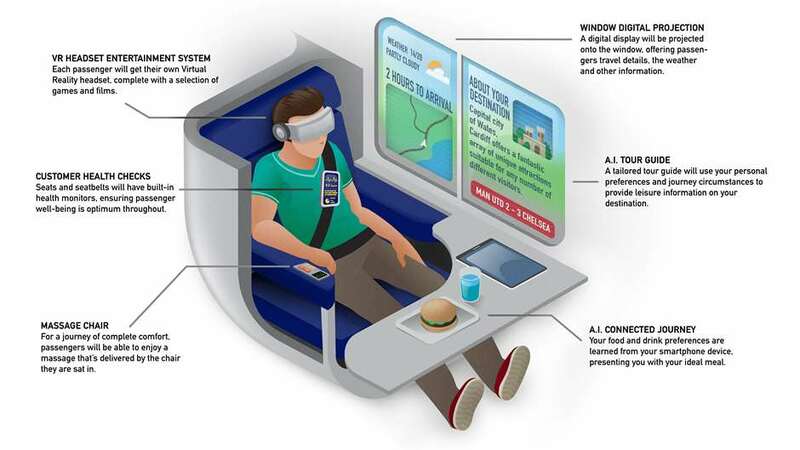 “The main new technologies that will be integrated into the coach of the future will be around seamlessly connecting the coach with the outside world”, says software engineer, Fahad Shoukat. 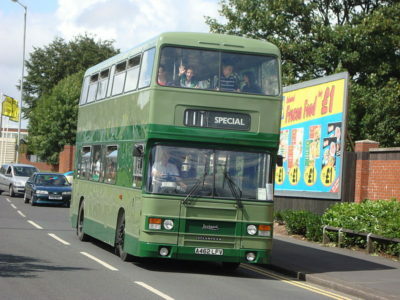 This will then extend to your onward journey. 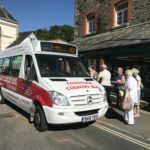 Aware of the nature of your trip and final location, the coach of the future will provide everything from public transport timetables to handy tourist tips. To ensure customers have as enjoyable journey as possible, experts predict coaches will soon employ robot staff. Using sophisticated artificial intelligence, these staff members will be able to take orders from customers, make and serve food and beverages, and offer journey updates to passengers. Aside from providing games and movies, VR headsets will act as tour guides, prompting you when to take pictures of upcoming sites. Each passenger’s seatbelt will gather vital health statistics, allowing staff to act swiftly if a problem occurs. 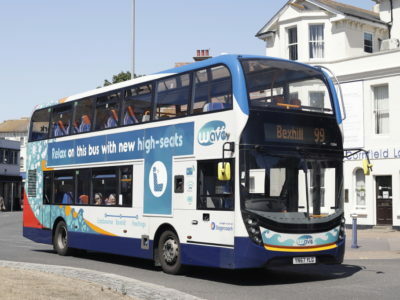 Accompanying the driver, aspects of autonomous technology will allow the coach to communicate with other cars on the road, increasing safety for all road users. 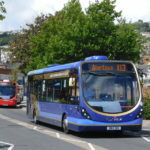 “These predictions offer valuable insights into focus areas for future coach travel, such as sustainable energy sources, passenger well-being and connected journeys”, said Mark Venables, Managing Director at megabus.com. What do you think coaches will look like in the future? 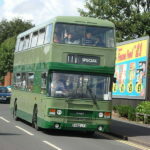 Do you agree with megabus.com, or do you think we’ll be travelling in something else altogether?